The Community Market and Karwan Kollective–two Toronto-based organizations focused on supporting local artists and small businesses–are teaming up to bring you a pop-up market showcasing visual arts, comedy, and more! 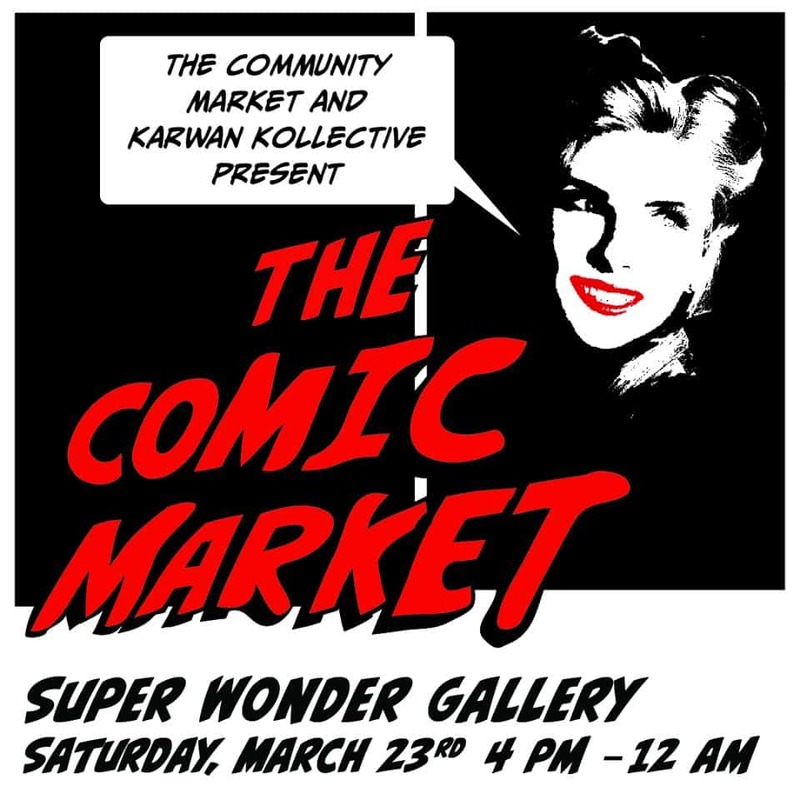 The Comic Market takes place this Saturday, March 23, from 4 p.m. to midnight at Super Wonder Gallery (584 College St.). Works from several artists will be on display along with retro video games stations and an artist’s market selling art, clothing, jewellery, zines, and comics from 90’s Ninja, Charms By Indi, Feels Zine, Retro Heads, X-YYZ Comix, and other vendors. The evening will also include a comedy showcase featuring Keith Pedro (Kevin Hart’s LOL Network, Yuk Yuk’s, Just For Laughs, Bare Jokes Comedy), Sarah Ashby (Roast Battle Champion, 420 Comedy Fest, Comedy Mixtape), up-and-coming comedian Frankie Lux, and host Chris Robinson (Sirius XM’s Top Comic, Just for Laughs, CBC’s Canadian Comedians to Watch for 2018). Entry to the market is free and tickets to the comedy showcase are $14.95.